Written on August 21, 2018 . Posted in News. Power brands are leading the way by choosing biodegradable promotional products to advertise with. But are these products really eco-friendly? 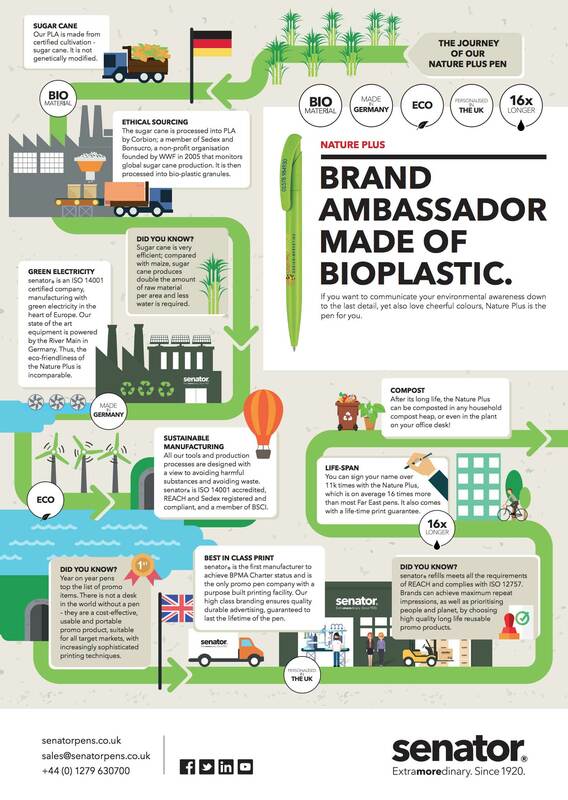 At senator®, the whole production chain of our Nature Plus Bio pen family is eco-friendly. Avoid the risk of ‘greenwashing’…buy senator®!